My life changes a little every year. My kids are getting older…and so am I. With every year that passes by, they get a little smarter…and I lose a little more sanity and brain power! The great thing about being a parent is not that I know HOW to be a parent but that I get to LEARN HOW. By the time my kids are grown, maybe I’ll know how to be a good parent, and maybe by then…my kids might actually listen! If there is one thing I’ve learned so far, history always repeats itself. I remember when I was at the age my daughter is at. I thought my mom was one of the most un-cool people on the earth and that she was determined to ruin my life. Now it’s my turn! Ever feel like you are going to ruin your child’s life? Have no fear! You are in good company. Most parents are experts at doing this without even trying. When we recently moved our family across the country, we were ruining her life. When my kids can’t have a sleep over, I am ruining their lives. When I require that they do chores and homework before they can have special privileges, evidently I am once again…ruining their life. Here’s one tip I’ve learned that has been hard to do with my kids, but has had amazing results in ways that I know they will thank me for later in life. Here is one simple way to ruin your child’s life! Let them experience the consequences of their actions. 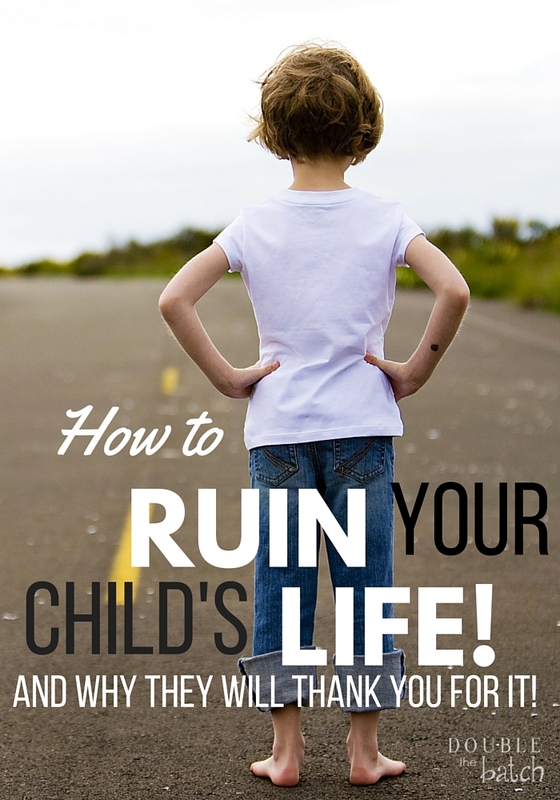 It’s so easy when kids get in trouble, to want to rescue them and make everything “all better.” It’s also a whole lot easier to just brush bad behavior to the side rather than follow through with a consequence that you know will inspire temper tantrums, screaming, threats, and if your kids are really good…passing out! My husband is good to help me remember to stand firm and not let the kids get away with stuff. Natural consequences are a whole lot easier to learn while children are young, rather than when they are older when the consequence can be more serious and even permanently change their life! 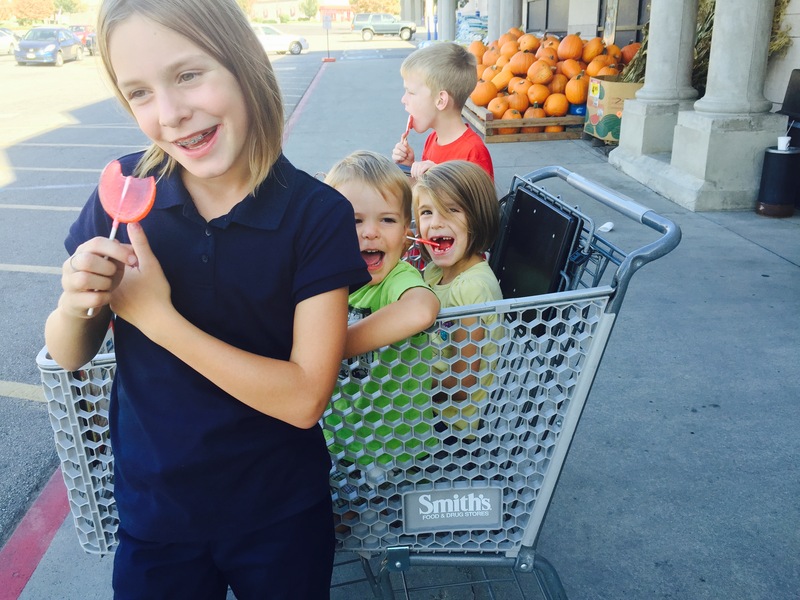 This week, I felt like a broken record constantly nagging my kids to get their chores done. As I was brainstorming, I realized I was not helping my kids learn natural consequences. No one is going to nag them when they are an adult. They either know how to work hard on their own…or they don’t. I changed my approach. I told them the story of the Little Red Hen and told them they could either get their stuff done by a certain time and reap the rewards (going shopping with me), or they could choose not to and suffer the consequences (not getting to go to shopping with me). I told them the choice was theirs and that I wasn’t going to ask or remind them again. I REALLY wanted to get on their case when I saw one of them goofing off and not doing anything. I think that this is the way our Heavenly Father parents us here on earth. He gives us commandments, the scriptures, and a conscience to guide us in knowing right from wrong, and then he allows us to make our own decisions. Sometimes we screw up and have to learn the hard way. Sometimes life is just hard and we are given the opportunity to learn whether we are living the right way…or not. Either way, it is OUR CHOICE what we will make of our life. Why not take the same approach with our own parenting? It was an “Aha!” moment for me. It all sounds so simple. The hard part is following through even when it’s tough. I mentioned earlier that my mom ruined my life when I was young. I laugh about that now. Now, I am 38 yrs old, with 4 kids of my own and my mom (and dad) are my greatest heroes! I trust them…because they loved me enough to “ruin” my life when I was young so I could have the life that I have now. I still make mistakes EVERY DAY and I’m learning as I go, but I learned a lot of hard lessons while I was young that prevented a lot of heartache as an adult. I’m so glad they had the courage to raise me right and stand firm even when I acted like a royal brat. So, do yourself, and your kid’s future a favor. If you’re gonna ruin their life, do it while they are young!